It’s been almost a week since I’ve been back in the United States, and while I’ve been nothing short of busy from moving to a new apartment, looking for a new job, and getting ready to go back to school, I find that the time I’ve had to reflect on my experience in Japan and my readjust to life in Miami is quite plenty. When I came back from my first year abroad in Thailand I remember feeling like people were so standoff-ish in America. Now coming back from Japan I feel quite the opposite. It’s kind of strange to have people being so open with each other compared to the quiet and reserved nature of Japanese people. While there are many things that I’m having to get used to again, there are also some things that seemed to come back naturally to me. Like hanging out with family and old friends, which has grounded me in a way that makes transitioning back to American culture much easier. It also doesn’t hurt that I’ve been able to eat all the foods I’ve been missing while meeting up with these people. But already I find some aspects of life in Japan that I miss. From my last trip within Japan to Nasu. 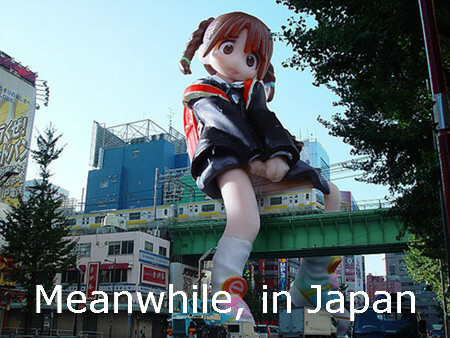 Funny enough, I’m already missing the transportation system that Tokyo offers. I miss the freedom that it gives, especially considering I don’t have a car here. I miss the feeling of calm that Japan has. Stemming from the fact that Japanese culture is so centralized around not being an inconvenience to anyone, traveling around the city and just going out in general has a much more calm atmosphere than what I’ve been experiencing so far while back and it’s been admittedly kind of hard to get used to. I also miss the dynamic that I had with my friend group in Japan, specifically knowing that the likelihood that we’ll all be able to hang out the same way that we used to is impossible, at least for a very long time from now. My overall takeaway from coming back has been one of general acceptance. While life in Japan and Miami is so completely different, I’m glad to be able to say that living in Japan and learning about the people and culture and language has made me grow and given me a better perspective of the world. I’m feeling positive about the reintegration process so far, and am glad to have such supportive friends and family to help me through it. This photo is from my hotel room in Narita. Traveling for long periods of time is, I know, intimidating. But when it comes down to it the personal rewards and experiences that you gain from studying abroad are so much more beautiful and amazing than any of the difficulties or challenges it brings. Which is exactly why I know that traveling and studying abroad will never not be an important thing to me, and that it will continue helping me to grow and change for the better. And this is a photo from my balcony at my new apartment in Miami. You hear a lot about culture shock when preparing to go abroad. Ranging from a short trip to a permanent move, culture shock is something that all travelers will experience at some point. Studying abroad is probably one of the most direct ways to encounter culture shock in my opinion, and I’ve definitely had my fair share of it since going abroad for the first time five years ago while I was in high school. I find myself comparing my bouts with culture shock here in Japan to my high school experience in Thailand, and while there are quite a few similarities there are also quite a few differences. For one, I feel that when I lived with a host family in Thailand I had to confront my language inability and misunderstandings of the culture much more quickly than I’ve had to do here, living in an apartment. Also, having studied abroad before gave me a lot more tools to prepare for the first initial lows of culture shock and how to get myself through that phase with more ease. However even with my previous knowledge and preparations that I tried to make for this experience in Japan, I still found myself getting hit extremely hard with homesickness, something I still struggle with with only approximately ninety days left of my exchange. These photos are from a ryokan (traditional Japanese hotel) in Nikko. You wear traditional Japanese yukata and use the onsen (the public baths, although they also have some private ones at this ryokan). However at this point I’m getting into the more exciting phase of my study abroad experience by starting to accept the cultural differences that I’ve learned here and starting to see Japan as not just my home, but a place where I understand the culture and am starting to be able to say that I’m a part of – even if it’s not in the traditional way. Just a couple days ago, I was showing some of my roommate’s friends from Canada around Tokyo and I realized that I’m much more integrated into the culture than I see myself sometimes. To further elaborate, this week in Japan is a celebration called “Golden Week” which is basically a term that encompasses several holidays that all happen within a very short time span. So I suggested to my roommate’s friends that we go to Meiji Jingu to see if there were any activities going on at the shrine. Sure enough, there were a ton of things to see — several wedding processions, traditional performances, and markets. I found that I was able to answer all the questions asked of me. I could explain why something was happening a certain way or translate what was being said. It felt, in a way, that I was explaining things that happen in the culture that I’m in and apart of, even though I’m not Japanese and it’s not my nation’s history, but just because I’ve gotten so used to being here and have started to get a deeper connection to the people around me. This can be seen at many shrines in Japan. It is the water used to purify yourself before prayer by washing your hands and mouth. This is another common aspect of the shrine culture in Japan: If you go to get your fortune read and have a bad fortune, you tie it on these in hopes of getting rid of the bad luck. With only ninety days left of my time in Tokyo, I feel quite conflicted about the idea of going back to the United States. On one hand, I’m excited to be returning to see my friends and family and to start back with my traditional studies. But I still feel like I haven’t had enough time here to fully grasp my surroundings and the language and cultural understanding that I was desiring before setting out on this experience. I think I’m starting to realize that maybe that’s one of the saddest things about studying abroad. It’s such a rare occurrence to be able to live in a different country in the way that you do when you’re studying abroad, and in the end it feels like the time goes too fast. Yet in the end, even if you do feel sad, you would never change the experience for anything else in the world. In my opinion, the ultimate bittersweet moment. This photo is from Ueno Park during sakura (cherry blossom) viewing time. People usually have picnics together and walk around the parks with their friends and family to look at the iconic trees.